At InfoSight, we strive to build strong relationships with our clients and continuously seek to understand ways in which we can ensure the services we are providing are in alignment with your needs. We're committed to providing the highest level of customer support across all of our offerings. In the event you experience network or service issues that cannot be resolved remotely, InfoSight will send an experienced professional to resolve system and service-related problems. 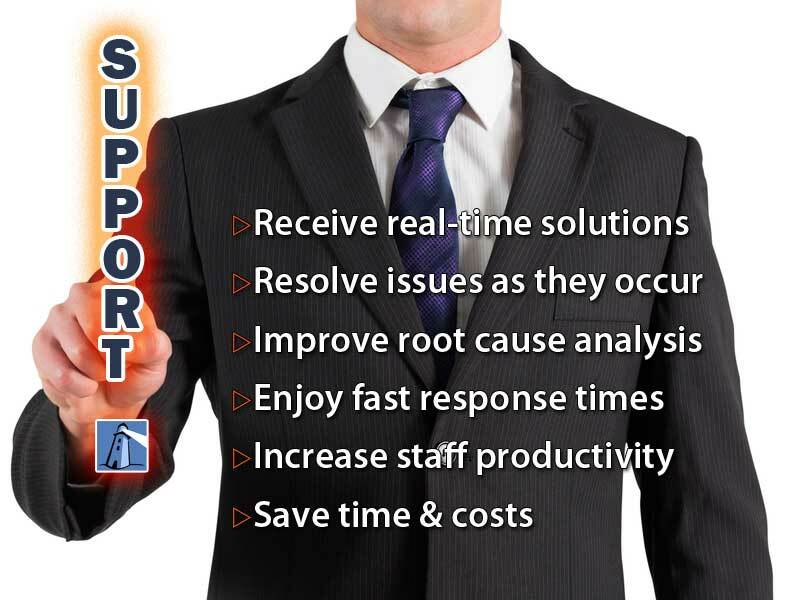 Remote support is convenient offering immediate response times by eliminating the extra expenses of onsite service calls when possible. From our Network Operations Center (NOC), we provide level I, II & III support of most network infrastructure. InfoSight sets a new standard for qualified, reliable IT support, and provides a comprehensive solution that gives you the support you require at a price you can afford. Whether you need to complement existing IT staff or need to completely outsource your IT function, we strive to provide an exceptional customer experience and value. Our all-inclusive managed onsite and remote IT support plans can be tailored to your needs providing a fixed budget style of coverage, or if flexible number of support hours will be required during the year, you can plan your expenses and receive the best hourly rates by contracting for as many hours as needed. Our onsite and remote IT support contracts are designed to suit our customer's needs, from single location to large, and complex multiple-site networks.